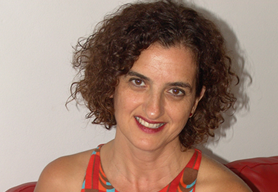 Christina [Hamlett] introduced me to Magdalena Ball last month, as she knew that I had recently started publishing book reviews. I was familiar with Ms. Ball from her previous interview with Christina but I was not expecting Ms. Ball to be quite so generous (even though she refers to herself as “gregarious” and the tone of her book conveys that attitude as well). In addition to this amazing interview and her guide to reviewing, Ms. Ball offers a free e-course “How to be a Reviewer”). For more information about The Art of Assessment, please check out my book review at http://blogcritics.org/books/article/book-review-and-interview-the-art. It has become my bible as a reviewer. Q: Why did you write and assemble The Art of Assessment? 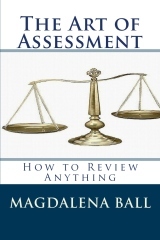 A: The Art of Assessment was actually my first book, written about 14 years ago. I wrote it initially as an adjunct to The Compulsive Reader to be used as a how-to guide for my reviewers to help them write more thorough and consistent reviews. It started off as a small, 20 page pamphlet, but as the interest in the site grew, I decided that it would be valuable to turn it into a full-length book and look at a range of reviewing, particularly since, at the time, I was doing a lot of mixed media (children’s videos, concerts, and CDs as well as books) and there wasn’t much out there in the way of guidance. Q: How do you consider the skill of good assessment an art form? A: I think that writing a good assessment is like any kind of writing—there is always an element of art in it—the sense of what works and what doesn’t; the “ear” that a reviewer develops by close, active reading. It’s also a skill, which can be learnt to a certain extent, but the creative element—the building of a new piece of writing; determining the overall approach; the theme of the review and writing something that does justice to the work itself—is art. Q: What is the broader value of a well-written review? A: Of course a well-written review is of value to both an author and a reader. But in a broader sense, as publishing becomes ever easier, the need for curation is vital. We need close readers who can help filter the good from the bad—applauding great work and providing critical judgment on work that isn’t so good. It’s important for society to have that, and I suspect that the demand will continue to grow dramatically. A: I feel quite strongly about the fact that, if a book can’t be read in full, that it needs to be put aside and a review bypassed. This is especially important when the author is unknown and the house is small. Writing a super-negative review of an amateurish effort is like kicking a kitten. It’s not only a waste of effort, it’s mean-spirited and can cut down a new author in a way that’s not helpful to anyone. I know this seems a little like a contradiction of my earlier statement, but I also feel that reviewers have a responsibility to remain professional and not use their reviews to put others down needlessly. Curation is one thing and bullying is another. It’s far better to just put a book aside and write a thoughtfully worded note saying that the book needs a professional edit or that it’s not working for you than to write an extremely negative review. I also think that it’s wrong to review a book when you haven’t read it all. It’s fine to not be able to finish a book but I think that if you can’t read it, you shouldn’t review it. Otherwise you’re judging based on skewed criteria. There’s nothing wrong with declining to write a review on the grounds that the quality is not up to publishable standards. I’ve done it a number of times. That said, if a book is published by a well-known author and/or a reputable publisher and is error riddled or badly written (especially when you know the author can do better) then I think a negative review is most certainly in order. But the book absolutely must be read in full—even if it’s painful. Otherwise I don’t think you’re being fair to the author. Q: Thank you. (That’s a relief; I have a policy of never writing harsh reviews of new authors as well.) Could you please give us a sample of what you would write to an author in the situation where you’re politely declining a review? You’re not obliged to give them a reason (this isn’t a paid-for critique), but if the book is rife with errors, you could indicate that. If they’re really dismally untalented, I wouldn’t mention it. There are readers who may well like the book, you’re just not one. You’re not obliged to do this either but if it’s a small/self-published book, I’ll sometimes offer to send it back to them, or even to put it into BookCrossing or donate it to the library—just to be nice—it’s a small world out there! But don’t let them draw you into a discussion. If they try to pump you for reasons (doesn’t usually happen) then be evasive or stop answering the emails altogether. Q: How do you define the broad scope between the amateur reviewer and the professional reviewer? A: This used to be a very clear distinction. A professional got paid for their work and an amateur didn’t. However, there are many forms of “payment”, one of which is publicity and books and some reviewers get paid sometimes and sometimes they work for the publicity, the sheer joy of sharing their opinions, or as part of a broader online presence/platform. So the distinction is now fuzzy. Also we’ve moved into a situation where everyone is a reviewer—when people buy a book on Amazon they’re encouraged to put up a review and it doesn’t have to be thorough or professional. There are a lot of opinions available—some useful and some not so useful. So I’d say that the difference between the two is that an amateur is not looking to put together a formal, professional quality review but is just voicing an opinion. A professional is someone who takes the ‘job’ seriously (whether paid or unpaid), and puts care and attention into the review—making sure it’s thorough, balanced, substantiated, well-written and based on a close reading. Q: As someone with degrees in English literature (Your honors degree in English Literature from the City University of New York and your postgraduate studies of English Literature at Oxford) how valuable do you consider formal education in the pursuit of becoming a truly professional writer? Q: Wow! That course sounds amazing. Where can we find it? A: ModPo was utterly brilliant. (I don’t know when the next one will happen, but they’re definitely planning another one.) Though it wasn’t part of a “formal” degree course, it was as good as anything I did in a formal setting and hugely valuable to my writing. There are many resources now available to students, and I use the term student very broadly. We’re all students and the learning process never stops. So while I think taking courses is certainly of value and can open and stretch even the oldest, most jaded writers, having a degree matters rather less I think than it used to. Q: Most review sites have specific format and style guides, and The Art of Assessment emphasizes the need for thoroughness and depth (as illustrated by your sample reviews). How much can a reviewer deviate from those established formats and style in the fostering of their own “voice”? A: Having a guide makes the writing easier and it’s always important to follow site guidelines when submitting a review, but that doesn’t mean you can’t be creative. I’m not sure all sites would be so open, but I’m very open to novel formats. I’ve published reviews in verse form, in question and answer style, and even in multiple path options! A: I actually removed the multiple path review as the reviewer wanted to publish it elsewhere and it was a paid gig—quite a few years ago—but it went something like this: If you think that the review should talk about characterisation next, then click here. If you prefer it to talk about plot, click here. As long as a review is, as I mention a lot (on my little soapbox), thorough, balanced, substantiated, well-written and based on a close reading, as far as I’m concerned, I’m willing to take any kind of format or structure. Of course it takes a lot of skill (or art if you like!) to be that creative. It’s far easier to stick to a template. Q: Your book covered almost everything but a travel section. While the basic principles probably apply, could you direct us to any specific resources for learning how to deliver travel reviews (in addition to reading other reviews) and where we might get them published? A: That’s a good point and maybe I’ll add it later (you’ve already given me a few new chapters to work on!). I guess one of the reasons I didn’t include travel is because travel writing is a whole genre in itself and encompasses a lot more than just a review—a whole book can be written around a trip or visit. But for those who love to travel, it’s a wonderful profession and there are jobs out there for it, too, especially for really good writers. You can also combine travel writing with other forms of writing. For example, Anthony Bordain is the travelling chef. Glenn A. Baker is the travelling rock and roller. Firstly, as with any other form of writing, I would recommend beginning by reading others, and getting a feel for the best kinds of travel writing. Michael Palin and Bill Bryson come to mind immediately. Also magazines like Conde Nast Traveler are a good source of shorter forms of travel writing: There is also quite a good online site. Thank you. That’s very generous of you! In your book, you suggest new reviewers read up on good reviews to hone their craft. How would you recommend someone contact an established reviewer to request guidance or mentorship? Well, there’s nothing like a little flattery. One easy way to get guidance and support is to submit work to an established site. This will often result in some excellent guidance and if you get a few reviews published and want more guidance or mentorship, it’s easier to ask for it. I do think a direct request for mentorship might seem a little odd. There are, however, formal mentorships available through almost every writers’ center and that might be a good place to start. Q:Thank you. (I’ll hunt down those writer centers for my website.) You were born in New York City, studied in England and live now in NSW Australia. How does your international background contribute to your approach in reviewing (and life in general)? A: I think that leaving the country I grew up in has broadened my perspective in many ways. I was pretty green when I went to England! There was so much I didn’t know—about geography, about history, about the world in general. I was quite an embarrassment, especially because, as a New Yorker, I naturally thought of myself as reasonably sophisticated and worldly and wasn’t backwards in making my uninformed opinions known. Having been exposed to a number of cultures I feel like I’m multilingual (in English!) and able to read across cultural boundaries quite well. Q: As someone who has been exposed to a few different cultures around the world, I understand; you couldn’t have encapsulated the experience better. I love how you talk about “reading across cultural boundaries”. What’s an example of that from your life? A: ln my life I work with a lot of different nationalities. I can often understand the subtle body language of an Australian versus a Canadian versus a New Zealander—or their colloquial expressions. It helps with communication. In reading, I feel I can more easily penetrate into the setting and context of a book. For example, Tim Winton’s Cloudstreet, one of my favourite novels, is so inherently Australian, from the way people talk to the kinds of dreams they have and the way they relate to one another. I feel I understand that now, whereas I wouldn’t have gotten it to the same extent before I left. Q: You received a Masters in Business from the Charles Sturt University and a Marketing degree from the University of Newcastle. When and how does this education and experience come into play as a reviewer (and in the direction of your various endeavors)? A: I’m not sure that the business and marketing degree have had a dramatic impact on me as a reviewer—they were both done for the day job and certainly taught me some skills in terms of metrics, statistics, promotional processes, and analysis, which may have some positive effect on my ability to promote my work, my site, and my other writing (the novels and poetry books for example). Mostly though, they were time-consuming when I did them and impacted on my ability to spend more time doing creative work. Everything is a trade-off in terms of time. Q: Tell us more about your work as a knowledge specialist in a multinational company. What does your job encompass and how does this feed into your passions? A: Firstly, my day job supports my writing habit. Knowing that the money is coming in frees me to not worry too much about the overall financial situation with my writing—I’m free to do what pleases me and to not stress too much over sales figures. I’ve been doing this job in various guises for nearly 24 years (! ), so I’m reasonably well-skilled at it and have managed to organize very flexible working hours which has suited me through the births of my three children, a range of life transitions, and of course my all-consuming writing passions. So I’m very lucky to have the job. Additionally, I work in R&D, managing the library, looking after a range of commercialization activities and am actually very stimulated by the science (as my poetry will certainly show). I’ve even walked out of a meeting with a few choice words or concepts in my head, and had to write an entire poem on the spot. Q: Cool! How many poems from your Sublime Planet have come from this process? A: They’re all kind of sciency! But at least 30% were directly inspired at work. Plasmonic nanobubbles, Dryland Salinity, Blind Deconvolution, and Plane Strain all came out of words that came up in real conversations and left me salivating! (I’m a little strange that way I know). Q: (I don’t think that’s strange at all, but then I’m a bit of a closet geek.) ow has your work as a reviewer enhanced your authorship? A: One of the key things my reviewing has done in a marketing sense is to give me a big online profile with readers. The Compulsive Reader has over 10,000 subscribers to our monthly newsletter and we get some 30,000 hits a day—all readers! That’s an amazing network of people who know me, have been reading my reviews for some 14 years and who I can promote my other writing work to. In addition, being in the habit of close-reading has really helped me to understand what makes for a good book—it’s “ear-training” that translates into a really good sense of what does and doesn’t work from a writing point of view. No class can teach that—it has to come from regular reading. Of course I also read how-to books and having a regular in-pouring of new material has not hurt my own writing (other than to distract me away from it since there’s almost nothing I’d rather do than curl up with a book). Q: In your previous interview with Ms. Christina Hamlett in November, you mentioned you had nearly completed your next book of poetry [Sublime Planet], and that you were on your third novel—this one a science fiction/time travel adventure. Please update us on these projects. A: The writing part of Sublime Planet is done. That’s a collaboration with my poetry partner Carolyn Howard-Johnson. The book is a full-length poetry book focused on environmental poetry. We’re currently editing and working with a wonderful artist who is doing the cover for us. The idea with that book is to release it for Earth Day 2013 (April 22). We’re planning to give a proportion of the profits to an environmental charity (yet to be confirmed), so the whole project is very exciting and bringing together a number of threads in my life that are of interest to me. There was a strong sustainability theme in Black Cow as well, so it’s a good follow-on. My third novel will probably take a bit more time to finish! I’m not a fast fiction writer and am still hard at work finalizing the plot points and setting up my beat sheet (a step-by-step plot outline), but I’m pretty excited about the direction the story is taking—it’s a big change for me and working cross genre is proving very interesting. Q: Please elaborate on how your work is cross-genre. A: The work has elements of sci-fi (my poetry too)—there is time travel (sometimes in the poetry), aliens, and the new novel will also be historical fiction, but it’s all rooted in the psychological and more literary fiction than anything else. Q: From my research into the publishing industry, I was advised against promoting more than one project at a time, but you manage to write and market across several genres (nonfiction, poetry and prose, as well as your reviews and blogging), seemingly simultaneously. What would be your advice to others who want to tackle a similar range of projects? A: Sometimes across several genres in a single work! I think that it’s important to do what excites you and gives you pleasure as a writer and not take too much note of the market or what’s ‘hot right now’ (particularly because the buying public is fickle). That’s why I’m so grateful to the day job for freeing me from trying to do a ‘breakthrough’ work. I try to stay interested in what I’m doing and for me that means working in different media. When I’m finding the fiction is challenging and I need a break I’ll work on poetry (which is always pleasurable for me). Nonfiction (blogging, writing articles, etc) and reviewing is always there too—something I tend to do for enjoying as a second part of my reading. I think that it’s good for the writing mind to have different hats—keeps everything fresh. I also find that the exacting process of getting a single line perfect in poetry can make for richer, more vibrant and poetically powerful prose. Having a good sense of story and character development often makes for more interesting poetry and nonfiction. And of course the more you write the better you understand what others are writing and the processes behind them, so everything works together. Q: You are a poet, writer, reviewer, mother, radio host, blogger, friend, wife and life-artist; how do you manage to juggle everything, be stellar at what you do, and keep your sanity? A: I’m definitely a juggler (but not sure what ‘life-artist’ is—sounds good though!). Q: I consider you a life-artist because you appear to handle everything with a certain grace, and you project the sense that life should be approached as another art form; something to be celebrated, played with, rather than endured. A: I’ll take it (even if the grace part isn’t, um, always true). I credit my sanity (such as it is) to a few things—firstly, my husband, who most certainly keeps me grounded (sometimes kicking and screaming that I want to stay airborne!). My children also definitely keep me grounded. I guess if I’m giving advice on how to juggle so many things at one time and keep the sanity I’d say to try and focus on each one when it’s being done, or as my mother would put it, ‘be here now’. So if I’m reading a book, I’ll read it as if it’s the only thing I’m doing. Even if I’m dipping in and out a lot, because I keep getting interrupted, I’ll still read it with intensity; even when I’m not reading, I’ll let my mind play over the story, the characters, and the plot. If I’m writing, I’ll try to give my writing serious focus when I’m doing it. It may be only 10 minutes of focus, but that’s the thing I’m concentrating on for that 10 minutes and I try to make it like it’s the only thing in my life just for a little while. Otherwise ‘overwhelm’ sets in and nothing is done well. A: For me, the block tends to come when I hit some problem—usually a fiction based one—such as how I work out a plot issue. I like to brainstorm through it—to just stop writing and do some mindmaps or talk to my kids about it; they’re a great source of plot since they all read a lot (don’t know where they get it from). Q: That’s brilliant. I brainstorm with my family as well. May I ask, what are mindmaps? A: Mindmaps are where you have your central idea in the centre and brainstorm related points around it. I was really struggling with something the other day and I told my daughter and she just started throwing ideas at me at a very rapid pace—how about…how about…what if… She was really awesome (and I promised her a credit). By the time she had finished playing around with ideas with me, I was completely unstuck and ready to get back to it. For people without such a wonderful, in-house resource, using any kind of brainstorming method or working with a friend often helps. Another thing that helps me with block is to swap genres. So if I’m struggling with a poem, I’ll switch to my novel. If I’m having difficulty with the novel, I might just take a break and write a review. All writing has a tendency to free you up—getting the writerly juices flowing again. Q: What is your favorite method of preventing burn-out (like when you read too many books)? A: I never burn-out from reading too many books! Reading is almost always a relaxing pleasure for me. But I do have tendency to have far too many projects on the go at once, not to mention a busy family life and a full-time day job (see question above about ‘sanity’). I’m kind of energized by all the stuff going on around me (it’s all interesting), but if the noise levels start to get too much (I’m pretty sensitive to noise) or I feel I’ve got one too many projects going on and I’m not giving decent attention to any one thing—I become too abstracted and dispersed—then the best way for me to deal with that feeling is exercise. In my case, breathing-based exercise like swimming or yoga is ideal. 30 minutes of swimming laps, or an hour of yoga, will almost always settle me and help me get perspective or work out problems. It’s not always easy to take that 30-60 minutes when I’m so overloaded, but I try to do it nearly every day. If I don’t, I really feel it. Q: This is very helpful, thank you. One area you were not able to cover in your book was that of organization (in terms of how to schedule deadlines intelligently, offering enough time for one’s own editing process, for the review site’s submission turn-around, etc.) as well as dealing with authors or people who consider a review has not accurately captured their product. Will there be a follow-up book that covers these subjects, or supplementary articles published through your blog? A: Organization is a pretty big topic that extends well beyond reviewing, but perhaps I’ll take you up on your suggestion to look at how, for example, one might deal with the very likely scenario of having many books to review and setting up a priority system. I have to work it out myself first! Actually I do have a kind of system—I do try to do things in order, but sometimes there are really urgent deadlines. For example, Mike Scott of the Waterboys is in Australia this week, and I only got his book to review last week. He was pretty keen for me to include info in the review on his Australian tour, so I put aside everything else and just did that. Impending interviews will often require that a book gets prioritized as well. I always use a to-do list which I manage on an annual, monthly, weekly, and daily basis, ensuring that the big projects flow through from annual to daily so that I find time each day to work on them (otherwise they’d never get done…). But overall, scheduling deadlines intelligently, leaving enough time for editing and review site submission turn-around all come down to general organizational practices, which may be beyond the scope of my book, and have been covered really well elsewhere. David Allen is a pretty smart guru on time management. He has a free newsletter, podcasts and lots more on the topic. I also like Steven Covey’s book The 7 Habits of Highly Productive People. It informs most time management philosophies that are out there and is still simple enough to just incorporate into a lifestyle. You can get the habits online. In terms of dealing with disgruntled authors or marketers, basically I just try to deal with them professionally, but not too humbly. If you’ve read the whole book (or experienced the whole product—see my note above about not reviewing something you can’t finish), written [your review] well and substantiated your comments, you don’t need to justify your review in any way. You’re not a marketer, nor are you working for the author and it’s not up to the author to judge your review. Your audience is primarily the reader and being honest is important. If someone wants a PR person, they’ll need to hire one. Otherwise, by all means, strive for thoroughness and accuracy and fix errors where they occur (and don’t review on a partial experience—I know I keep saying that! ), but don’t feel the need to pander to author egos. Negative reviews are, unfortunately, part of the process (all authors get them), and a reviewer should never apologise for their review. Q: You previously discussed happiness and optimism with Ms. Christina Hamlett. What gives you strength? A: My family is my key source of centredness which, if it’s not too new-agey a thing to say, is the core of my strength. A: Joanna, this was such a thorough interview—I think you’ve covered everything! If readers want more, they can always drop by my website. There are some freebies there, as well as information on all of my books.